You may not realize how dirty your driveway or walkway are until you get them professionally cleaned. 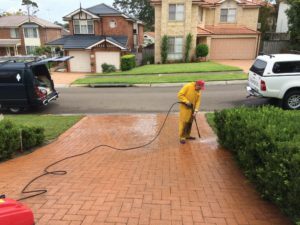 With expert driveway cleaning services in Sydney from Advanced Colour Painting Services, you can get the appeal of your house back in an easy and fast way. When our professional driveway cleaning experts come to your house, we assess its surface condition, prepare a solution that is safe for your plants, shrubs and grass, and remove mold, grime and dirt from the driveway. With use of latest cleaning equipments, we scrub the surface and then apply high pressure water to clean it without causing any damage.